Achievements: First Vice President and second President of India. Placed Indian philosophy on world map. Sarvepalli Radhakrishnan was first Vice President of India and second President of India. He was also a philosopher and introduced the thinking of western idealist philosophers into Indian thought. He was a famous teacher and his birthday is celebrated as Teacher's Day in India. 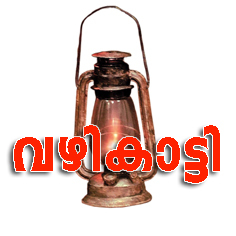 Sarvepalli Radhakrishnan was born on September 5, 1888 at Tirutani, Madras in a poor Brahmin family. As his father was poor Radhakrishnan supported most of his education through scholarships. 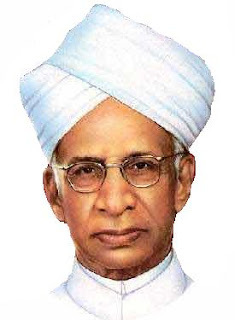 Dr. Sarvepalli Radhakrishnan had his early education at Gowdie School, Tiruvallur and then went to the Lutheran Mission School in Tirupati for his high school. He joined the Voorhee's College in Vellore and later switched to the Madras Christian College. He chose Philosophy as his major subject and did his B.A. and M.A. in it. After completing his M.A., Sarvepalli Radhakrishnan, accepted an Assistant Lectureship at the Madras Presidency College in 1909. In college, he mastered the classics of Hindu philosophy, namely the Upanishads, Bhagvad Gita, Brahmasutra, and commentaries of Sankara, Ramunuja and Madhava. He also acquainted himself with Buddhist and Jain philosophy and philosophies of Western thinkers such as Plato, Plotinus, Kant, Bradley, and Bergson. In 1918, Sarvepalli Radhakrishnan was selected as Professor of Philosophy by the University of Mysore. In 1921, Radhakrishnan was nominated as Professor of Philosophy at the Calcutta University, 1921. In 1923, Dr. Radhakrishnan's book "Indian Philosophy" was published. The book was hailed as a "philosophical classic and a literary masterpiece." Sarvepalli Radhakrishnan was called to Oxford University, to deliver lectures on Hindu philosophy. He used his lectures as a platform to further India's cause for freedom. He also argued that Western philosophers, despite all claims to objectivity, were biased by theological influences from their wider culture. He showed that Indian philosophy, once translated into standard academic jargon, is worthy of being called philosophy by Western standards. He thus placed Indian Philosophy on world map. In 1931, Dr. Sarvepalli Radhakrishnan was elected Vice Chancellor of the Andhra University. In 1939, Radhakrishnan became the Vice Chancellor of the Benaras Hindu University. In 1946, he was appointed as Ambassador to UNESCO. After Independence Dr. Radhakrishnan was requested to Chair the University Education Commission in 1948. The Radhakrishnan Committee's suggestions helped mould the education system for India's needs. In 1949, Dr. Sarvepalli Radhakrishnan was appointed ambassador to the Soviet Union. He helped laid the foundation for a strong relationship with Soviet Union. Radhakrishnan was elected first Vice-President of India in 1952. He was honored with the Bharat Ratna in 1954. After serving two terms as Vice-President, Sarvepalli Radhakrishnan was elected President of India in 1962. During his tenure as President India fought wars with China and Pakistan. As President he helped see India through those trying years safely. He retired as President in 1967 and settled in Madras. Dr. Sarvepalli Radhakrishnan died on April 17, 1975.